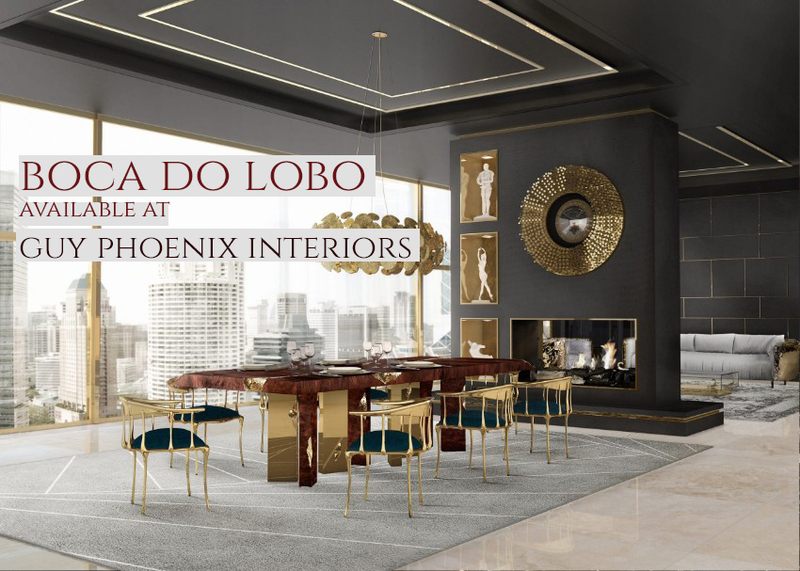 Boca Do Lobo boast some of the most exuberant and breathtaking furniture. 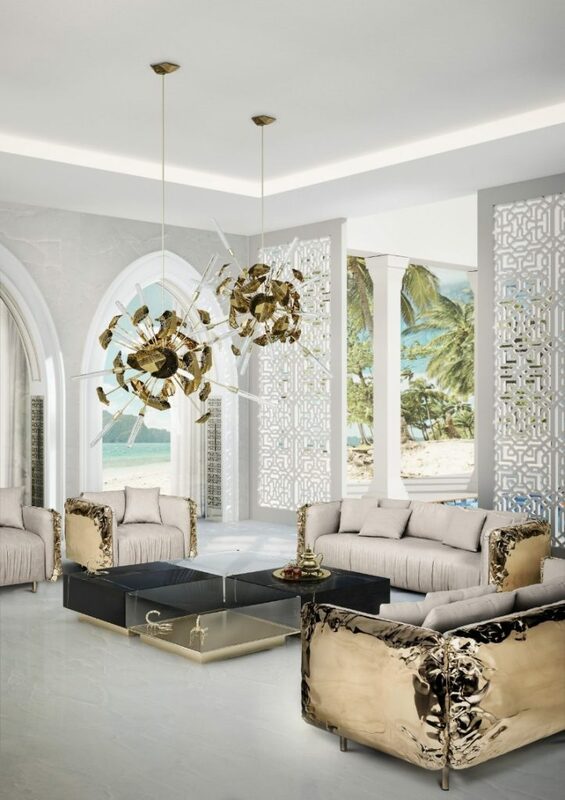 With each piece classically formed, Boca Do Lobo works within a range of interior styles. 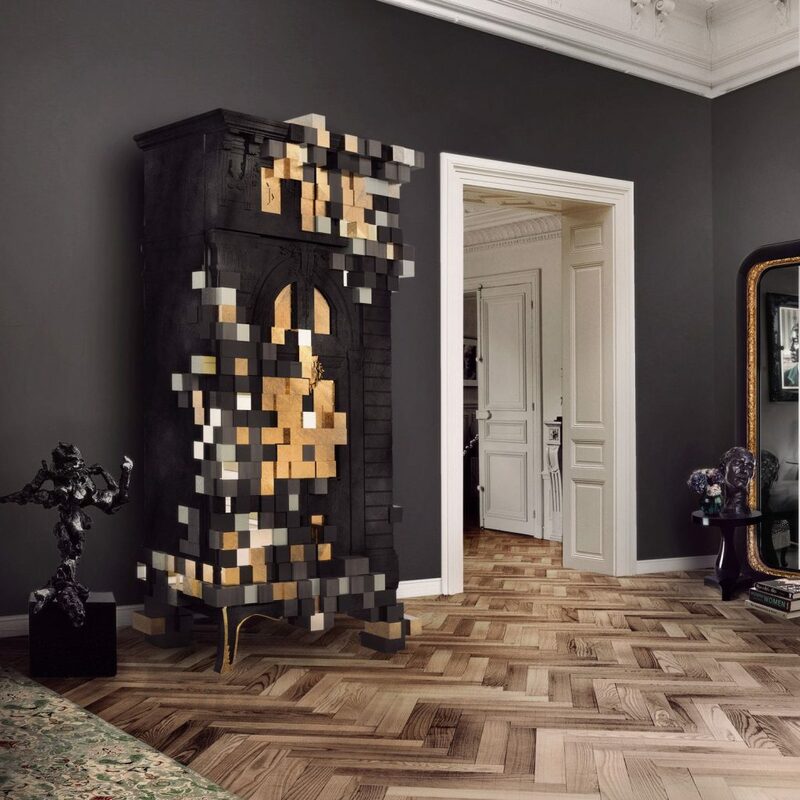 We love this twist on classic furniture with this pixelated statement cabinet. The two contrasting styles are a complete contradiction in their style however work brilliantly together. We love the bold look from this, it would definitely be a talking point to guests and family. Impress your guests with this stunning dining table that will make any dinner party look fantastic with a bold gold backdrop. As much of an architectural sculpture as a functioning table, we are swooning over this look. A luxurious velvet sofa works in a home all times of year not just autumn. We have written an entire post on how to bring velvet and jewel tones into your home, take a read here. The jewel tone works brilliantly with the rich gold metallic side tables. 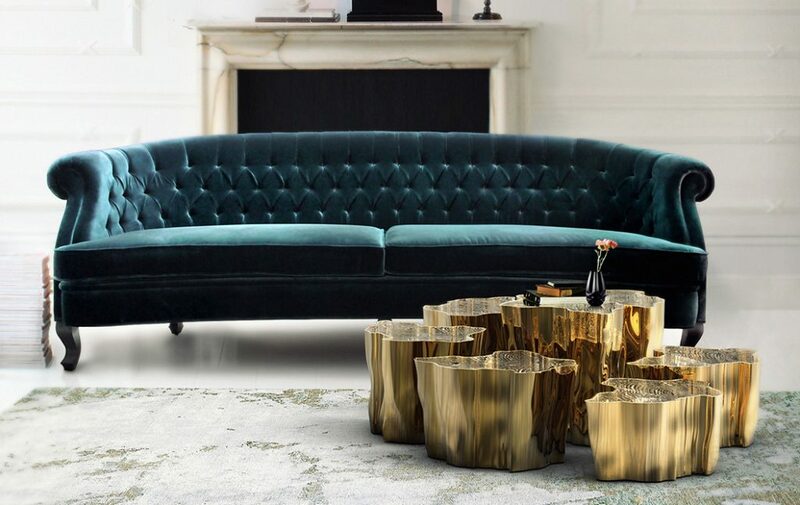 Be bold and indulge in velvet and metallic tones throughout your living room to connect with the French Moderne style. Office spaces and luxury apartments can be a fantastic space to host meetings or gatherings. 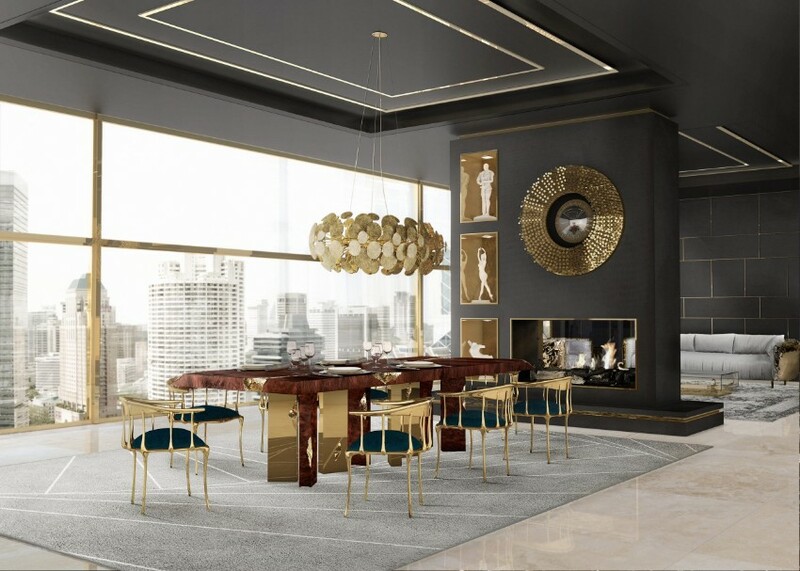 We love this example from Boca Do Lobo using a powerful and dominating table and light to determine the space. This stunning design would work perfectly within a hotel or summer home where the beach is on your doorstep. The minimal surroundings and lattice door patterns are a calming contrast to the decadent and rich tones from the sofa and lighting display. To start your journey Request a Callback from one of our team.